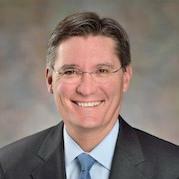 Citizens Bank recently announced the appointment of Jack Murphy as president of business banking. Murphy replaces Chris Ward and will report to Brad Conner, vice chairman and head of consumer banking. In his previous role at Citizens Bank, Murphy served as head of business banking sales and managed more than 400 bankers and contributed to the evolution and growth of the business. He joined Citizens in April 2016 from Santander Bank where he held several executive positions in global banking, auto finance, and SME banking.